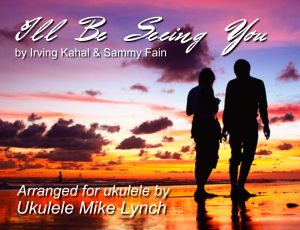 “I’ll Be Seeing You” is a popular song, with music by Sammy Fain and lyrics by Irving Kahal. Published in 1938, the song was inserted into the Broadway musical Right This Way, which closed after fifteen performances. In the musical, it was performed by the singer Tamara Drasin, who had a few years earlier introduced Smoke Gets In Your Eyes. 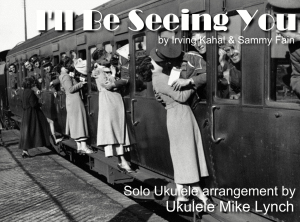 The song is a jazz standard, and has been covered by many musicians. The musical theme has emotional power, and was much loved during World War II, when it became an anthem for those serving overseas (both British and American soldiers).